This sponge recipe is a joy to work with: it handles easily and it always rolls up without any cracking whatsoever. You can make this ahead of time – it will keep for 2-3 days in the fridge quite happily, or it can be frozen. 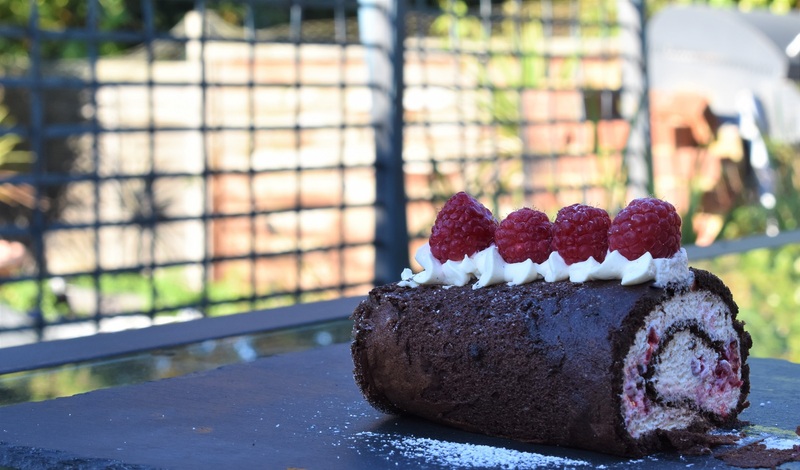 I like to serve this roulade with a simple raspberry purée, strained to remove the seeds and slightly sweetened with icing sugar. However, a purée made with fresh mango and passionfruit is divine! I have used the earlier sponge recipe for chocolate orange mini rolls, but have scaled it down a bit and have slightly adapted the recipe. 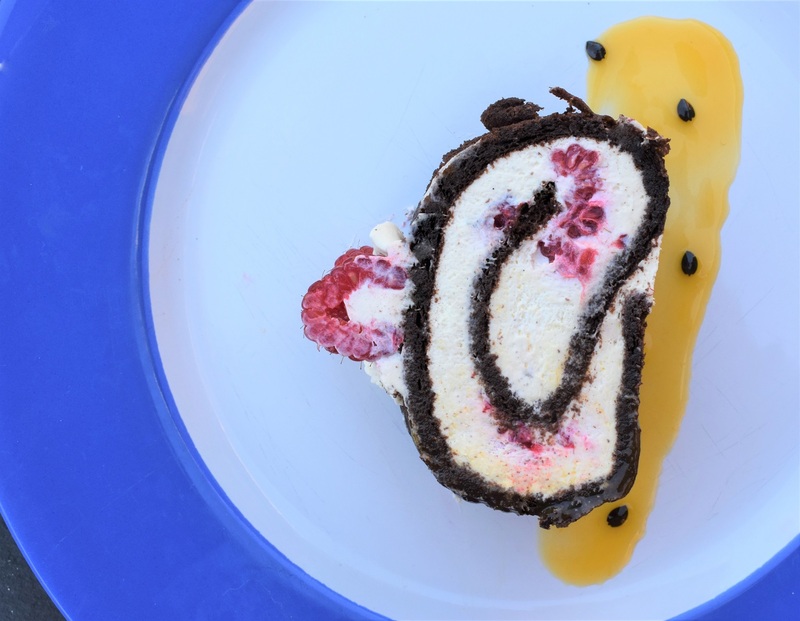 I have made orange versions of this roulade that work very well indeed. I use strong espresso in the sponge, but the baked sponge does not taste excessively of coffee: it actually enhances the chocolate flavour. You can, however, use just hot water in place of the espresso. 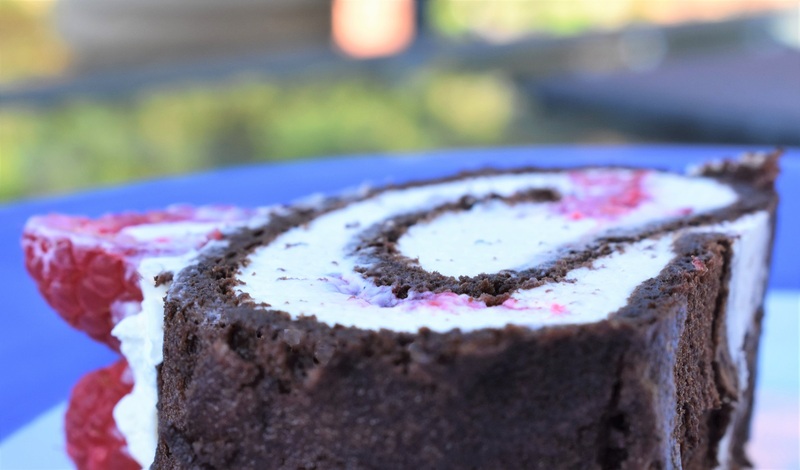 This can be made with fresh raspberries or frozen raspberries. You can go for just whipped cream in the filling, but I have gone for more of a simple mousse filling, incorporating some melted white chocolate and Mascarpone cheese into a vanilla-flavoured cream. It just gives a more luscious experience, without being too sweet. 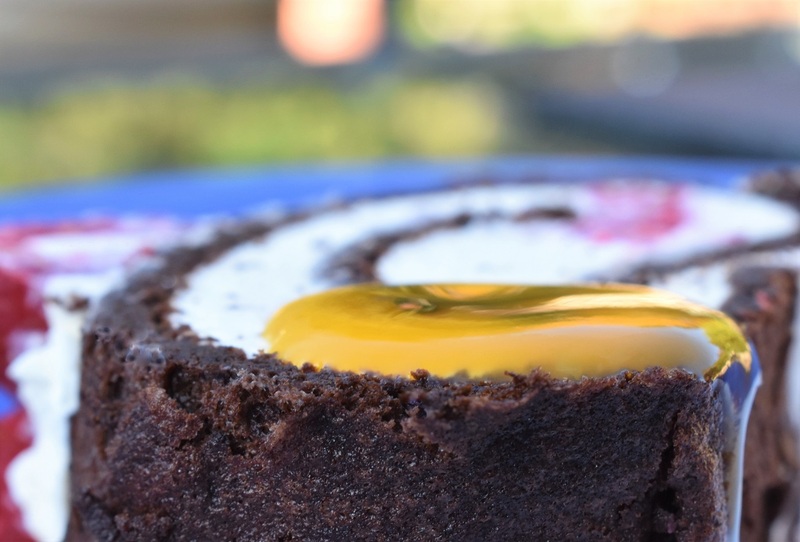 This dessert is also gluten-free and is, to my mind, all the better for it: the lack of flour in the recipe gives a beautifully moist sponge that works so well for a dessert. a few tablespoons liqueur of choice: Framboise, Marsala, Amaretto, rum…..
a sauce of choice: raspberry purée, mango, passionfruit…..
(1) Heat the oven to 160C (fan). Lightly butter one medium Swiss roll tins about about 13″ x 9″. Line the base with a piece of buttered greaseproof paper: even if the paper is non-stick, it really helps to butter it. 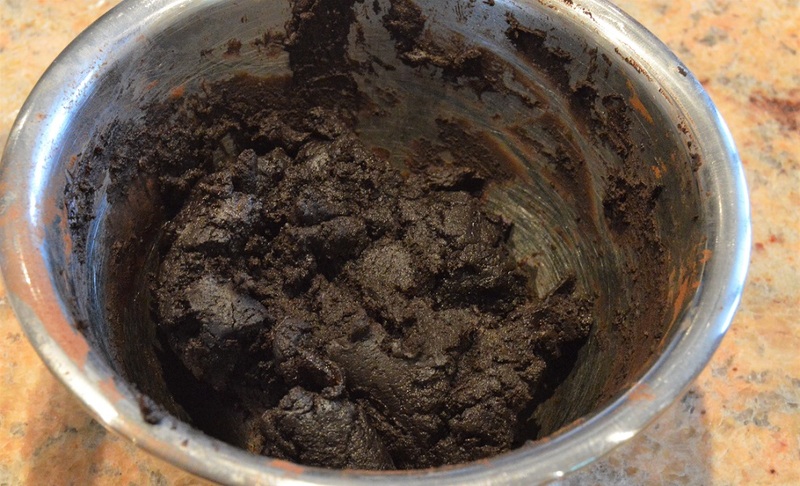 (2) Put the cocoa powder into a small bowl. 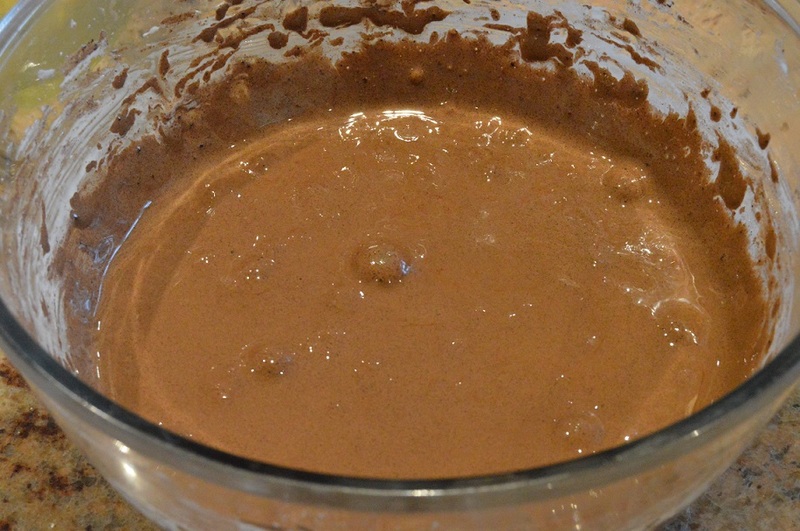 Add the espresso and melted butter and mix together to form a thick paste. 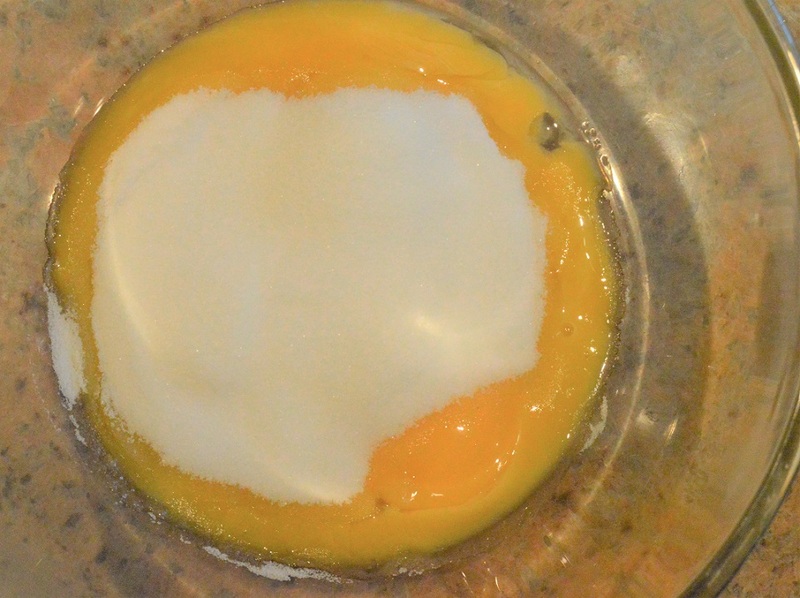 (3) Put the egg yolk into a large bowl with 40g of the sugar. Whisk them for 3-4 minutes until pale and thick: when you lift the whisk out, the mixture should just hold its shape. 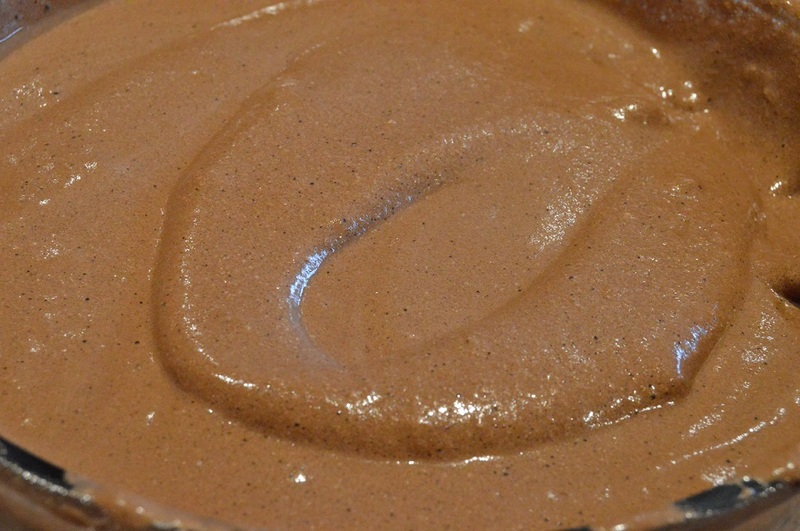 (7) Spoon the mixture into the tin and level out with a palette knife. Bake for 15-16 minutes until slightly wrinkly around the edges. 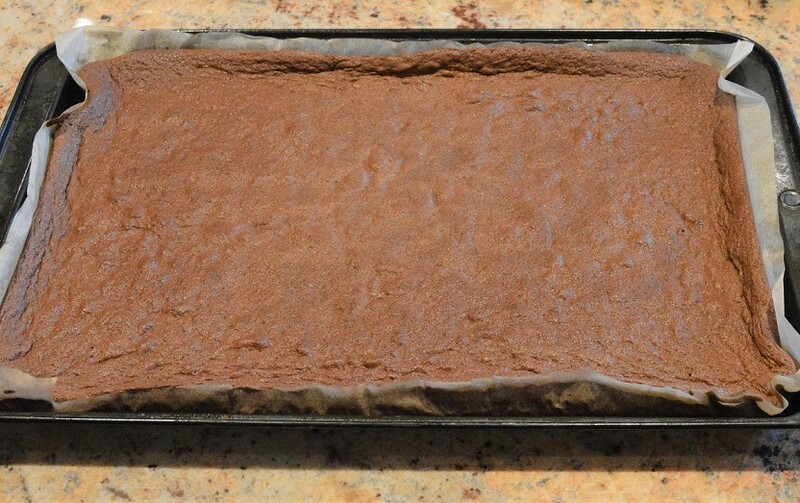 (8) Remove from the oven and place a damp tea towel over each sponge until they have completely cooled. 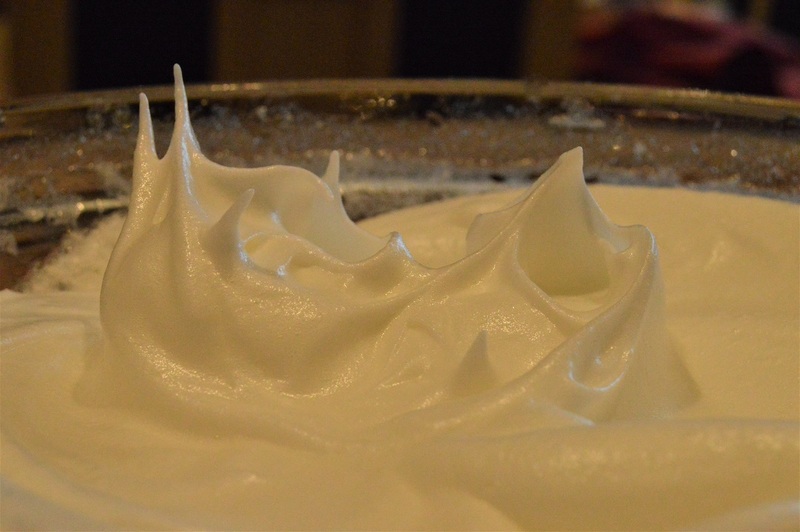 (9) For the filling, whisk the cream, vanilla and icing sugar, just until they form soft peaks. Add the Mascarpone cheese and the chocolate and continue to whisk gently just until the cheese and chocolate are incorporated. Chill until needed. 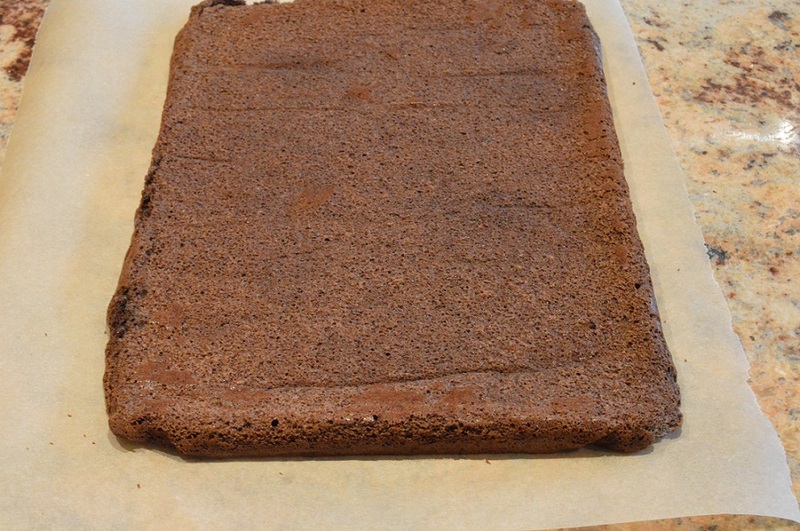 (10) Turn the sponge onto a sheet of greaseproof paper that has been dusted with caster sugar and gently peel off the greaseproof paper it baked in. Turn the sponge so that one of the shortest edges is closest to you. (11) Sprinkle the liqueur over the sponge (if using) and spread most of the filling over all the sponge, leaving about a centimetre at the short edge furthest from you. (12) Roll up the sponge fairly tightly, but without squashing it: roll it away from you, using the greaseproof underneath to help it along its way. Transfer to a serving plate. 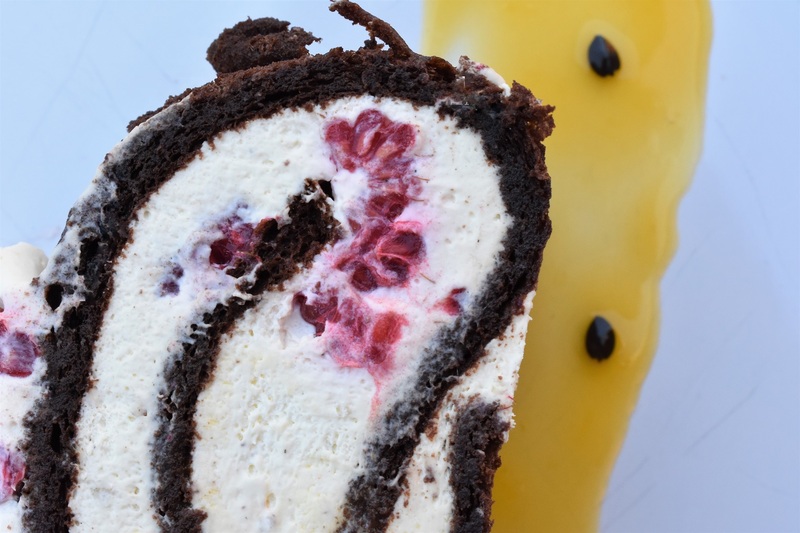 You can finish with a little of the creamy filling on top with fresh raspberries.